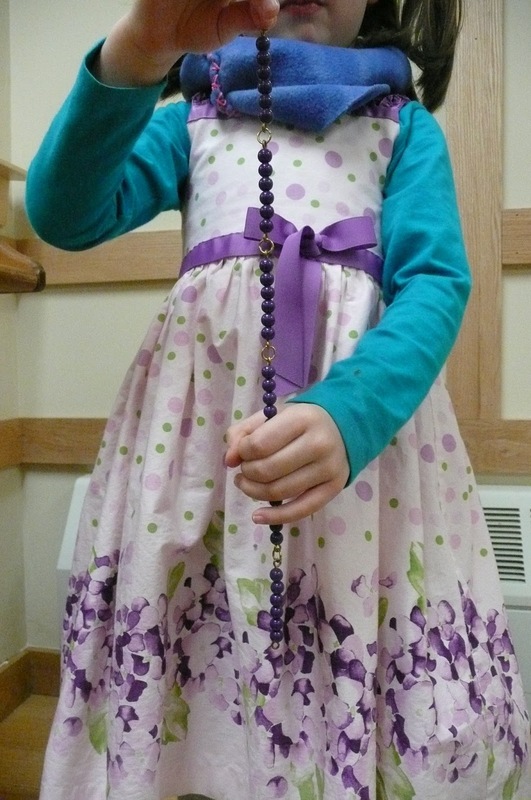 This third year child is beginning to add with the golden beads. He has had practice with a variety of other math work in preparation for advanced math. 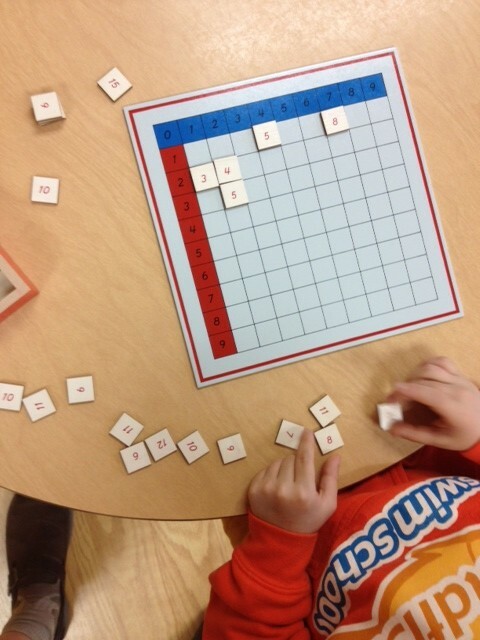 He was able to use the concrete math materials to learn 1-10 both in symbol and quantity. He then learned to match symbol and quantity. Several other lessons were given and he was very excited to move onto this! Bringing the units down. 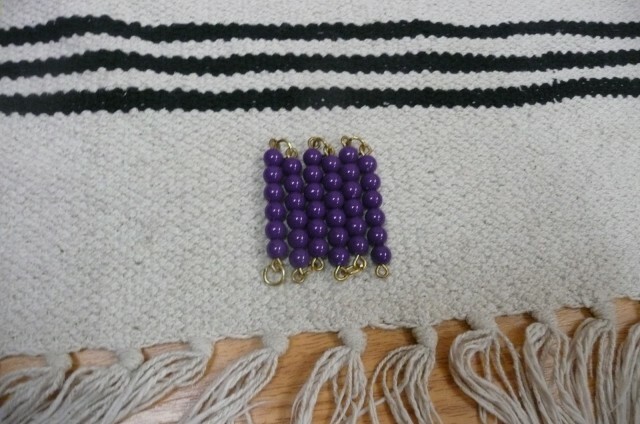 He places them in a row for easier counting and proceeds to count each bead. Next up is bringing down the tens. He counts the tens and records his work. If a child cannot write the numbers independently, we have various methods to helping him be able to add (if he is cognitively ready) but the fine motor has not caught up yet. We will often “dot” the number for him or even use a dotted stamp. We also have number cards that we use and no writing is necessary. The child in a Montessori program is able to learn math concretely this way. Many of our new children have begun interacting with our beginning math materials. 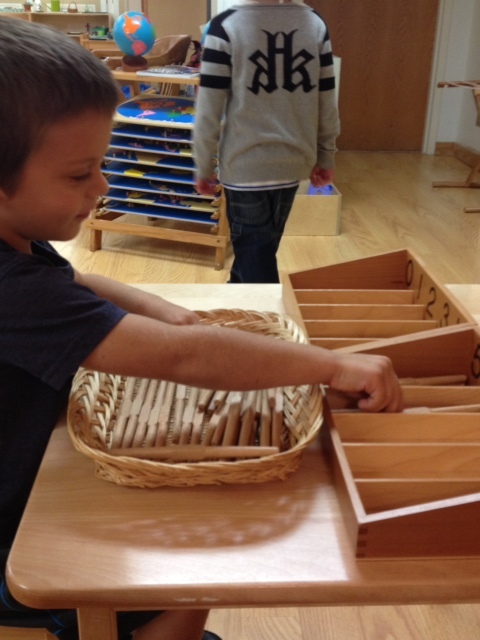 We initially strive to introduce the child to fixed quantities such as the large number rods. 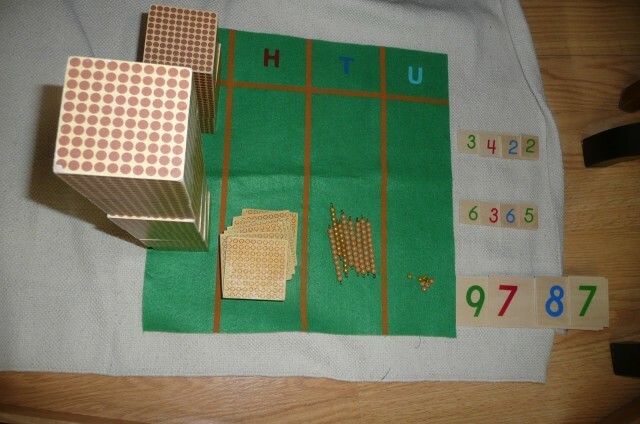 This material helps the child become aware of the quantitative relationships between numbers and the sequence of numbers. 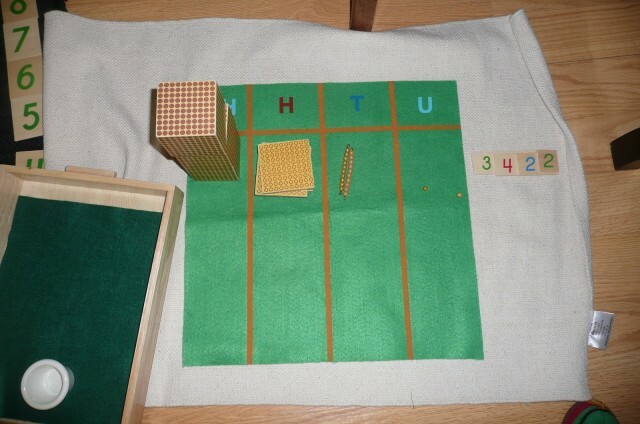 Once the child is able to count the large number rods, we introduce them again with the cards. Here the child associates quantity and symbol. 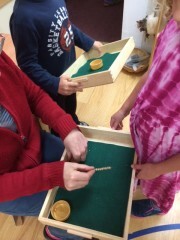 The Spindle Box is another beginning math material. 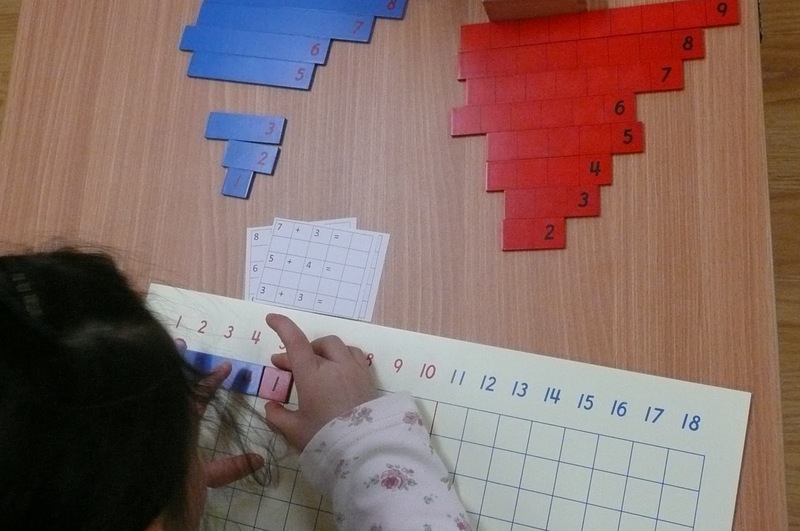 This gives the child an opportunity to count using loose quantities and also introduces the concept of zero. 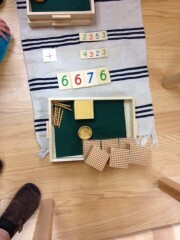 The multiplication board was a hit with our older children this week. They were first introduced to the idea of multiplication (“fast adding”) with the golden beads. Here we show them how to add quickly. 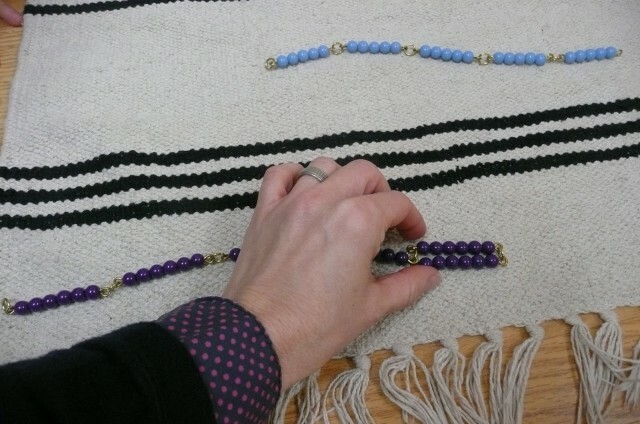 “Two times three is just two, three times!” and we place the golden beads down on the mat in three groups of two. We bring them down to the bottom and add. Voila. 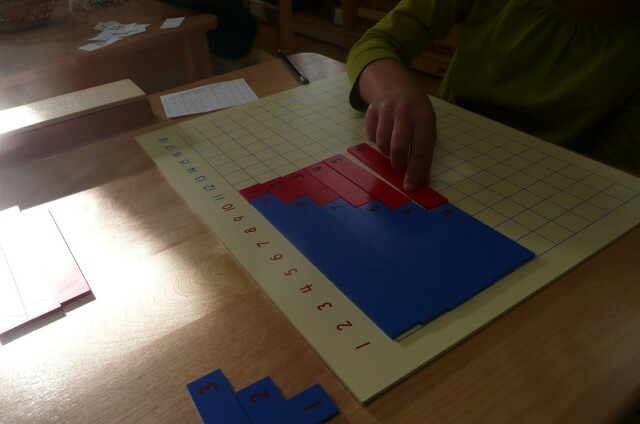 They absorbed this idea so quickly, so the multiplication board was introduced. Here it is the same idea set up in a different way. Shown above, this child is working on “2 x 9” He fills in the beads as he goes along and is able to count to get the answer. This is an example of using the concrete Montessori materials to facilitate easy absorption of a more complex idea. 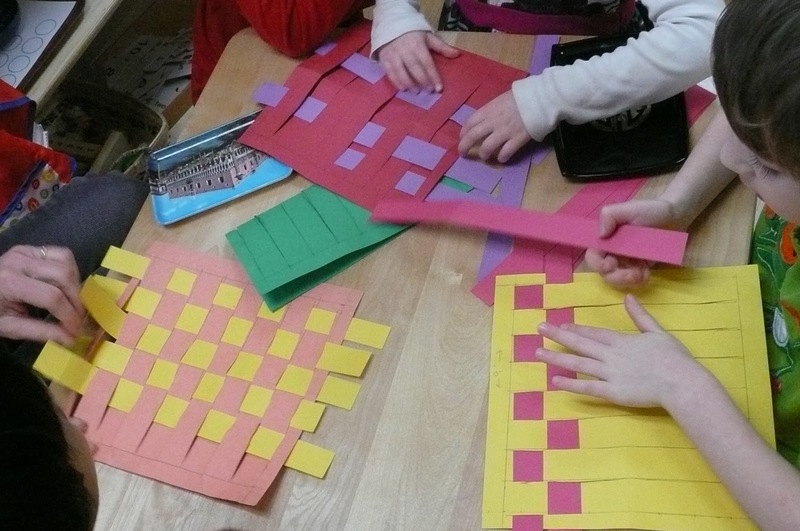 These children will have a solid base of multiplication tables since they have worked with this material. They will not be afraid of math as they have so many experiences using concrete apparatus. One of the goals in our classroom is to help facilitate internal motivation to learn. The two children who worked with this material both told the teachers how much fun it was and requested it on their own. Learning can be a joyful experience! 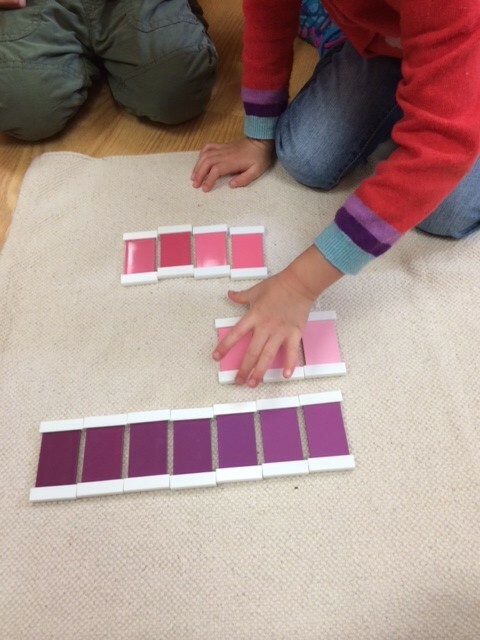 As we have mentioned before, Montessori math materials are BRILLIANT and will help the child understand so many math concepts for years to come. The contact that these children have with these concrete materials will last a lifetime! The squaring chains are no exception to this brilliance! Some of our older children are very interested in the chains and excited to interact with this material. 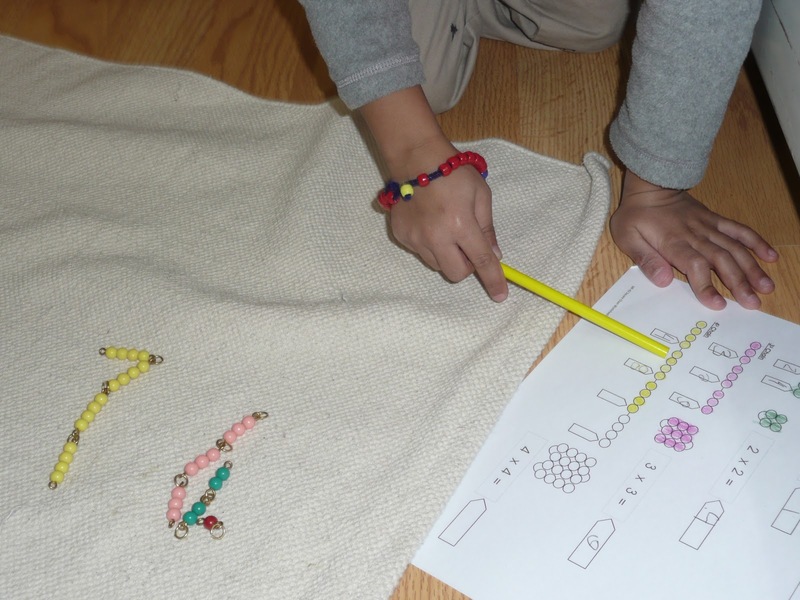 We carry the chain to the rug and begin by counting. We actually have labels for each break in the chain that are not shown here. The child counts and labels, then we “square” the chain. Here is the six chain. 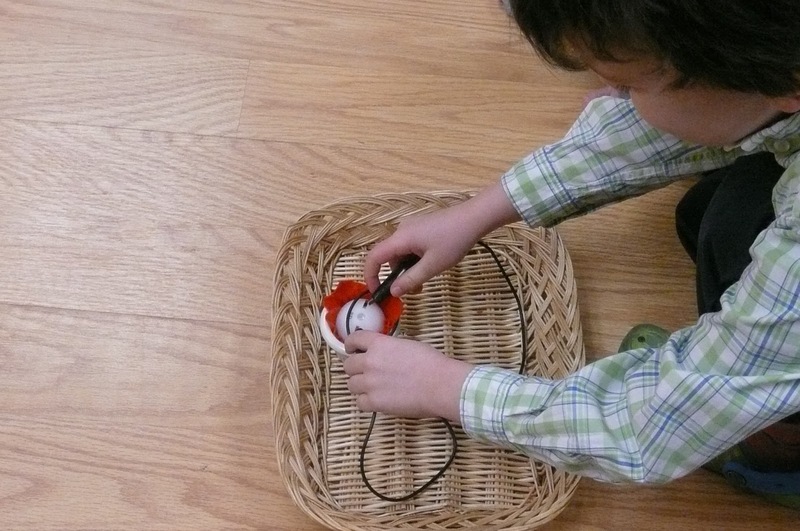 At each break, the child places the label. So for six it is 6, 12, 18, 24, 30, and 36. 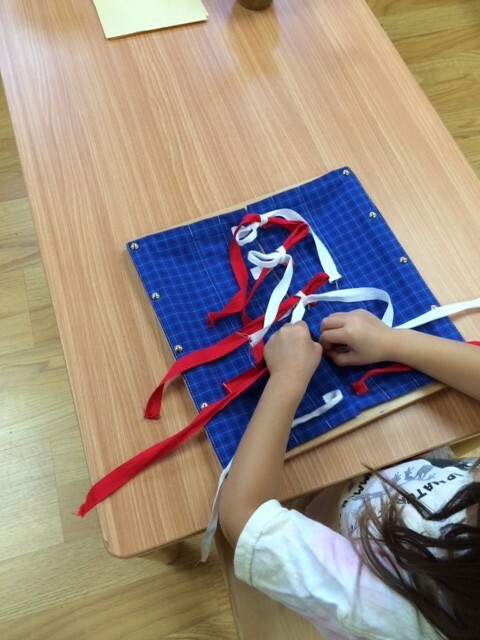 The child can see how the chain makes a square when we fold up the chain. 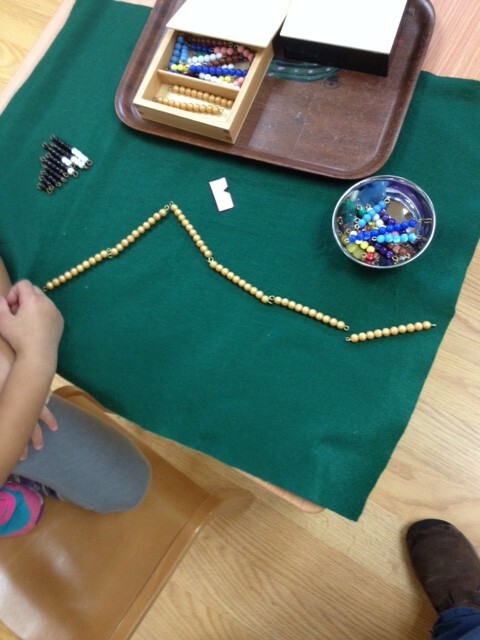 Using the Golden Bead Material- Math! 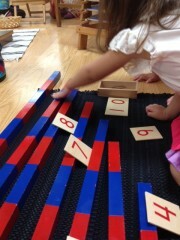 The beauty of Montessori Math! We were lucky enough to have a pair of students join us from out East this year. 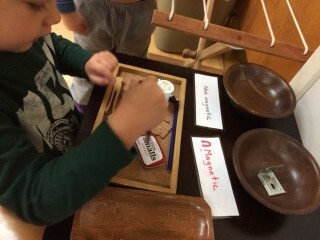 The older child (Kindergarten age) is in his third year of Montessori. 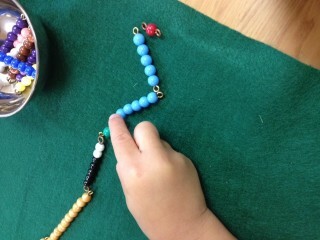 He and one of our same age but second year children worked with the Golden Beads to complete some addition work. Here you can see the culmination of the Montessori math work that has prepared them to this point. 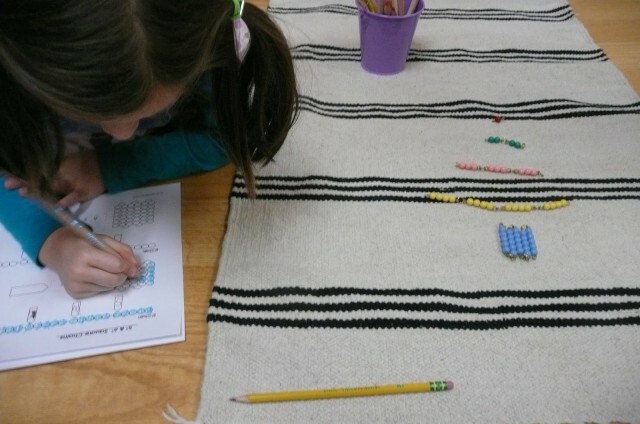 First they laid out the large numbers on a rug. They brought their trays over and were each given a small number to take to the bank and gather the bead materials on their tray. They both carefully place the numbers down next to the beads. Here they see each addend in quantity and symbolic form. 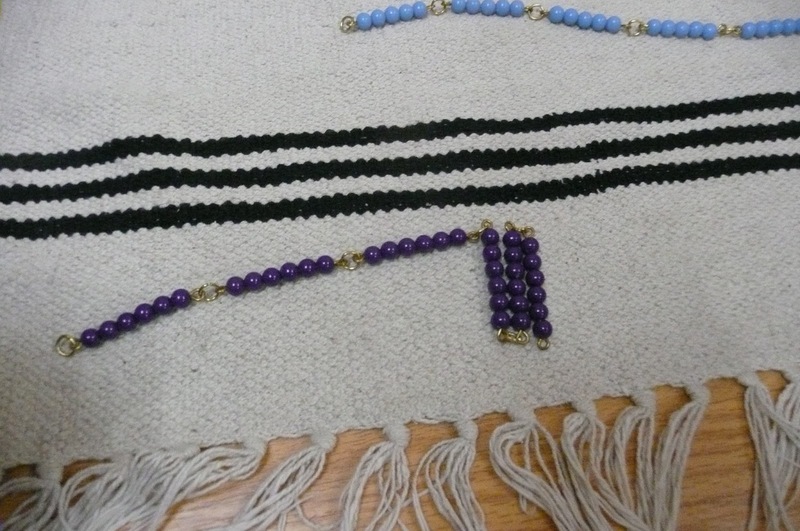 After the addends are placed, the beads are then “brought down” to the bottom. 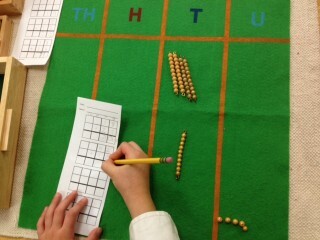 They begin in the units and use the large numbers to “write” the sum. 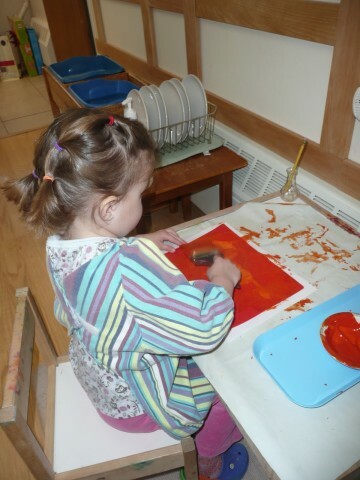 If a child is given the opportunity to stay for several years in a Montessori environment you are able to see so many things come together. Here they complete static addition in the thousands. The next day these children completed dynamic addition the same way! Using the addition strip board, the children are able to discover all of the numbers (addends) that add up to another number (sum). 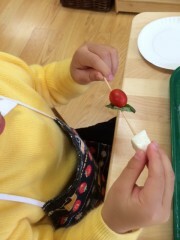 Here, a child is discovering the bonds of ten. 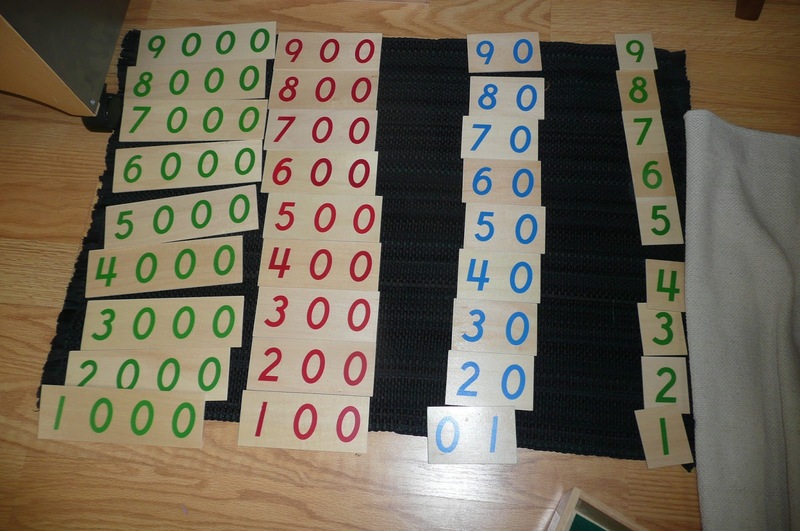 It is important to show children the relationships between numbers. They begin to understand a whole is made up of parts. If you know the parts, you can add them together to find the whole. You can also take away a part to find the other part. 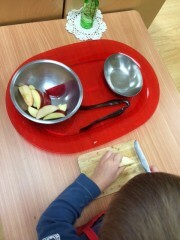 The children also begin to think about subtraction. 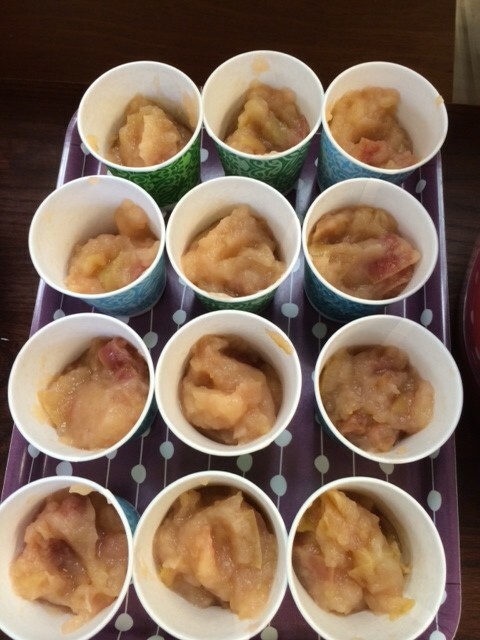 They naturally see the inverse relationship between addition and subtraction. When we talk about associating the quantity with the symbol in mathematics, this is what we mean! A child can often count by rote memory but may not understand how many are in eight or five. 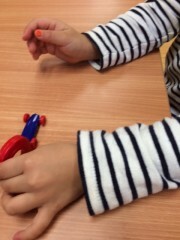 We use the larget number rods to help the child first understand one to one correspondence. When they count the rods, they are to touch each red or blue area. This demonstrates each is one. Usually when beginning this task they count and skip over an area or two so they end up at 5 when it is the 8 rod. 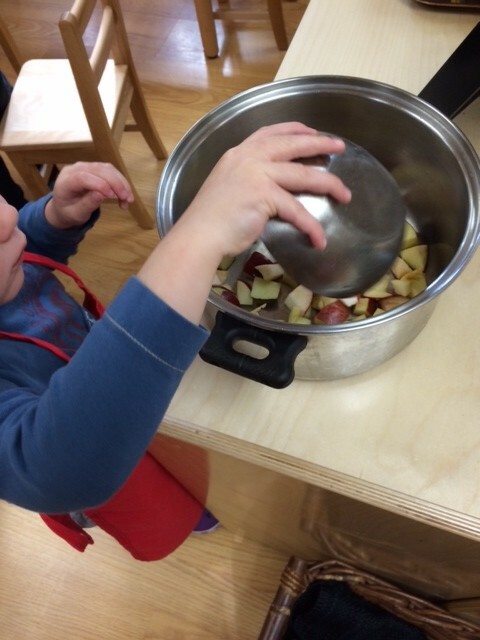 We give the child a lesson with a few rods at first and then increase the number. Once they understand this concept, we introduce the symbol which is the number. 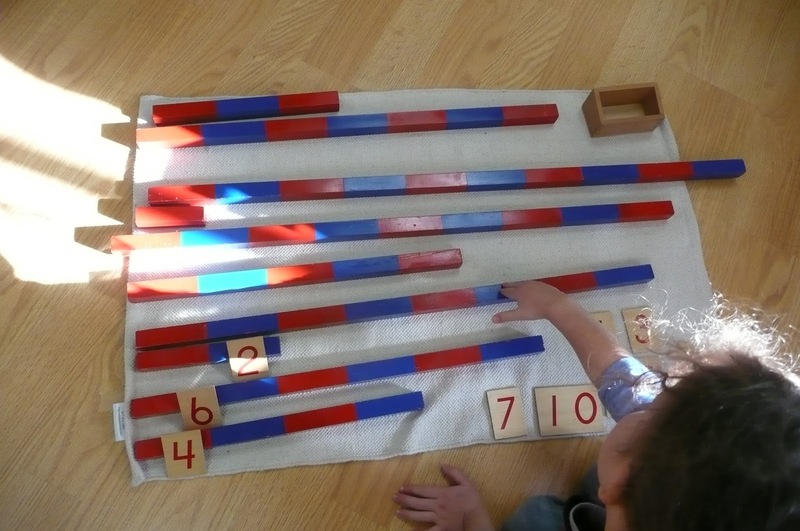 Once the child has learned all of the numbers, we put it together. 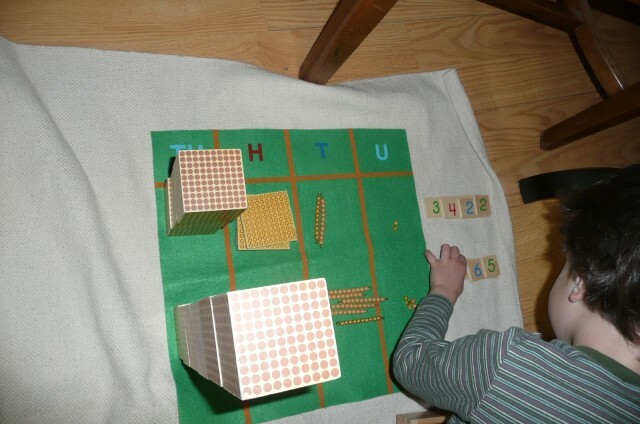 Here the child has placed the rods randomly on the rug. 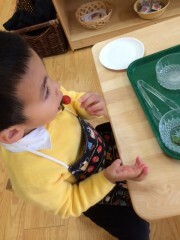 He counts slowly, “one, two, three, four!” He then finds the symbol or the number and places it on the rod. Now he understands symbol and quantity! 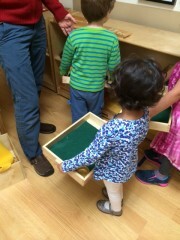 The blend of ages in a Montessori classroom is amazing. We have 2 1/2 to five year olds this year and it is such a lovely mix. Since we have Kindergarten aged children, it is important to keep them challenged and progressing along the learning path! 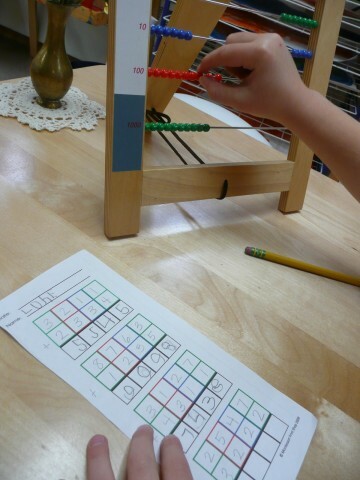 Here this child is doing static (without change) addition in the thousands with the help of the small bead frame. This child has progressed through many of the brilliant Montessori math materials and is now ready to add numbers in the thousands. 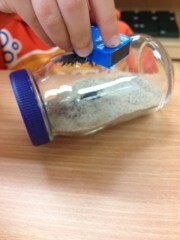 This apparatus helps the child add in a concrete way. Soon he will begin to add in the thousands abstractly but for now this helps him to complete many equations without stress and the demands of jumping to abstraction. 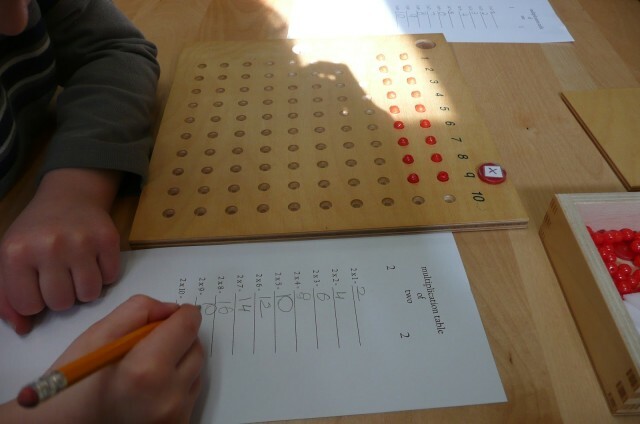 This helps the child to truly understand how he is coming up with the sum of the two addends. He will complete dynamic addition soon which is when he has to borrow. The same materials will be used.